For plastic surgery, ophthalmology, dermatology, and medical spa. Contact NexTech Systems for pricing details. As the leading provider of specialty specific software, Nextechs fully-integrated Electronic Medical Record and Practice Management software is designed to improve efficiency across all functional areas of a practice. Through intuitive design and customizable templates, Nextech seamlessly integrates with specialty practices and enhances productivity and overall patient care. Nextech Practice Reviews Recently Reviewed! Nextech Dermatology Software is VERY adaptable!! Pros: With Nextech software I can make changes any time I want. I will be honest as a Nurse Practitioner who wasn't all the computer savvy, it took me awhile to learn it, but the younger personnel at Nextech were able to walk me through the process. The possibilities with this system are endless. That being said, you do have to program it to fit your needs. At first, I complained about that, but then I realized I had to make it work for our own individual practice. The staff at Nextech helped me get through ALL the Meaningful Use stages and I am very grateful to the staff at Nextech for all their great support. Cons: You have to make up your own stampers which is time consuming. I wish Nextech would give new dermatologists who buy the software the basic stampers they might need to start their practice right away. There are so many dermatologists that are using this software that they could just work with them and get a general consensus on what are the most common stampers needed. If the new dermatologists didn't like the way something was written, its very easy to make changes or edits. There are also four other areas called assessment, medication, procedure, and a line for discussion or education. Even those areas could be preprogrammed to the most common statements. This would help the new dermatologists get started. Recommendations to other buyers: Look at other software. I looked at so many, more than a few times. No one has the flexibility that Nextech has. People here in Buffalo, NY are using an old software company that is not the least bit changeable. They tell their customers right up front that they are NOT going to customize for anyone and they mean it. Some of the doctors who use this software tell me they stay after work four or more hours after patients are done, just to complete their notes. Medicare stipulates that you have to be able to give your patient a copy of their visit. 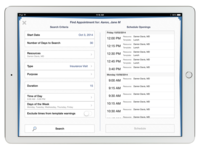 With Nextech, our patients visits are sent to the portal right after the appointment is made. When we finish with patients, we go home. Our office has been using Nextech Practice Management for 7 years. Customer service is excellent. Very user friendly. The customer service is excellent. They offer a number of financial reports. The inventory and commission based module is very easy to use for our estheticians. You can track everything. We have four locations, the messaging between users is very convenient and we use it every day between offices. Sending claims out to clearing house is fast and efficient. The system will flag a claim that has something incorrect on it. You can fix it immediately and send out. Cons: I do not like the EMR. Very overwhelming. Needs to be more user friendly. The doctors complain they have to go through to many steps and it takes to long. Thank you so much for your detailed feedback. Nextech has worked over 20 years to develop and hone our PM system to provide you with the experience you described below. Regarding the EMR, we encourage you to contact your Account Manager about how Nextech can assist your practice with streamlining its medical notes. With thousands of providers using our system and a fully customizable EMR, we¿re certain we can reduce that frustration once we better understand your unique needs. Comments: Overall, Nextech has been very user friendly. Navigation is great. Always upgrading and fixing issues and new products added to make documentation more effortless. Your knowledge base staff is wonderful. Very patient and always willing and wanting to assist. Your support is exceptional!! You are able to get answers quickly and problems resolved. Attitudes of staff great! Makes my job easier. Pros: After having a very unhappy experience with another vendor, it is so enlightning to be associated with Nextech. Your software is very user friendly. Very easy to navigate. It is structured extremely complete for our specialty. Always coming up with new updates to make our documentation easier. I love the ease with the PM portion of Nextech. Everything from demographics to billing is structured in such a way that staff find it easy to use. Cons: I have seen financial summary reports that not only list each and every provider but ability to compare this year to last year on one report. On your reports each provider would have to be separate and each year would be separate making several reports. Comments: Initial costs were managed with a no interest loan for three years and reduction in introductory costs. However, the details were so complicated and confusing for first time users of EHS that the unreasonable annual maintenance fees were obscured as we made our decision between Nextech and other systems. The sales person also did not emphasize these annual fees - he only emphasized the 3 years without interest and the lower introductory cost. We have 22 stations and had to pay licensing fees of $1200 for each station. We are being charged $15,000 annually for maintenance and upgrades whether we need them or not. In addition, should we not pay the annual $15,000 fee and need tech support or maintenance the next year, we are obligated to pay the $15,000 from the previous year in addition to the $15,000 for the current year. Last year, we needed no support and the upgrades did not affect us. Thus far this year, we have not needed maintenance or upgrades and so we are researching other EHS systems that have fees for support, upgrades and maintenance on an a la cart basis as needed. If we are not able to negotiate a reasonable relationship with NEXTECH regarding these fees, we will either convert to a new system and effectively lose more than $65,000 in software expenses or convert back to paper and take the penalty cuts until we retire. Fees for services are being constantly reduced and expenses are constantly rising, therefore, as a solo independent practice, we simply cannot afford to budget $15,000 for something we may not or do not need. Pros: As any other EHS product, it eliminates the paper requirements and increases the legibility and service details documentation. Cons: Entirely too expensive in ALL regards - $1200 licensing fees to even use the product on equipment we also had to purchase to run the software in addition to #15,000 annual maintenance fee and fees per doctor, etc. Recommendations to other buyers: .As you wade through the seemingly endless details of EHS conversion/use, be sure you understand the MANY hidden costs associated with long term use of the product. Pros: The scheduling process is very easy to use. Nextech gives you awesome options on setting different types of appointments with fun icons . When booking my patients appointments are schedule looks very easy to understand and colorful. 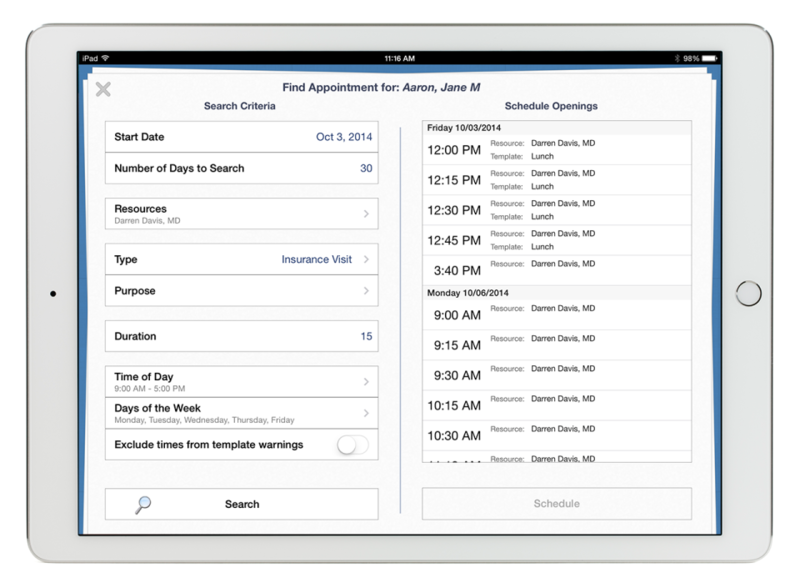 My favorite thing will actually be the report option for appointment daily schedule. When verifying patient benefits you can have access to view each provider appointments and you can easily check what patient insurance is not active or what patient is missing medical insurance. For new practices using Nextech it is very helpful to attend there conference called EDGE. I attended this year and I was able to learn so much and get all the answers I needed. Cons: At the moment Nextech does not have a recall reminder process. I do believe they are working on it. Also for billing they don't have an option to show that the patient account is in collections. It will be very helpful to have a separate alert for just Collections. NexTech is easy to use and navigate!!! Pros: I really like NexTech software for a few reasons. Being the only full time coder at a busy dermatology office I sometimes will code multiple dates of service on one date. If a claim is sent with the wrong date it will be rejected by the insurance company. NexTech will stop your claim before you can send it and ask if you're sure you want to bill on a date that the patient wasn't here. This saves time, money and headaches for not only coders, but billers. I also really like that NexTech will give you a pop up when patients are in post operative periods, so you don't forget your modifier!! Cons: I can't find much I dislike about this product without it coinciding with user error. The Hide zero balance bills over 3 months old check box is extremely helpful when you're searching for unapplied payments. I do wish the button would reset when moving from one patient to another because there are times when I am wracking my brain trying to figure out why a certain patient has no claims sent, then I realize the button is still checked. But this is most often due to user error, not the product itself. Recommendations to other buyers: I would recommend everyone take time learning the software before you judge it. There's a lot to NexTech and it can be a lot to take in at once, so take your time learning, and it'll pay off when you're ready to dive in and work hands on. I also recommend playing around with certain items with a dummy patient so you can make mistakes and learn from them before you use actual patient charts. Pros: We were previously using another system and were finding it very difficult for our staff to complete their documentation efficiently and within a reasonable time frame. Our Clinical Records were looking disorderly and incomplete. Since the switch to Nextech we immediately noticed our charts were complete (even including meaningful use). The program was easy to adapt to and easy to navigate. The ease of use and the thoroughness of the clinical notes are what I like best about the program. Cons: My least favorite part about Nextech is the reports. I often have trouble finding numbers on how many patients with a certain diagnosis or it will say there are no patients and I know there are patients in the category I am selecting. Recommendations to other buyers: In the world of multiple EPMs and EMRs it is easy to get confused. You have to find a program that works with the flow of your office and accomplishes what you want to see. Nextech is a great program and there is always help available. One of the best things is that the company asks for feedback. Not too many software programming companies want criticism on their program. Nextech knows it will only make them a stronger company and welcomes ideas and suggestions. Comments: Each and every staff member is both knowledgeable AND helpful. It would be great to be part of a monthly interactive advisory group (other than the community portal). Would be nice to have a direct link to the portal after logging in to MDI. Thanks! Pros: Support team! Short wait times. Complete answers when you get a person on the phone. Frequently they think ahead and anticipate your next question. Comments: If there is ever a programming issue, I can contact Nextech support and they are great about solving any problem! Pros: I like the ease at which I am able to produce plastic surgery quotes that I have already customized. In addition, all of my surgical procedures and consents are customized so that it is quick and easy to compile and print them. Printing medications from an customized medication quick list adds to the value of this program. Nextech makes managing my practice manageable! Cons: There are so many functions available on this program, I am certain that I have not taken advantage of all of them. Comments: I find this system a little more cumbersome to navigate than some and a little easier than others. On the fence with this one. The separation of the different modules by function make this an expensive system. The watered down version is too expensive for the parts that you do get and to me don't make it worth the investment. Pros: The scheduling system is fairly easy to use and navigate. Entering patient information in to the scheduler is fairly easy. Cons: I would like more customization with the information fields that suit our practice and needs. The flow of the information on the screen isn't as fluid as it should be in order to have speed with entering data. Pros: Nextech is well written and customizable for each provider. Very simple for new staff to pick up when training. Cons: Dislike the software backup methodology. Could be more streamlined so it takes less time and in addition, you'll need a device to backup a so-called workstation backup (I use a NAS) and the server backup backs up to a folder on the server so you'll need to think about space requirements when engineering a solution. In addition to the built in solution to the software I also backup the entire server using a thrid-party imaging solution. 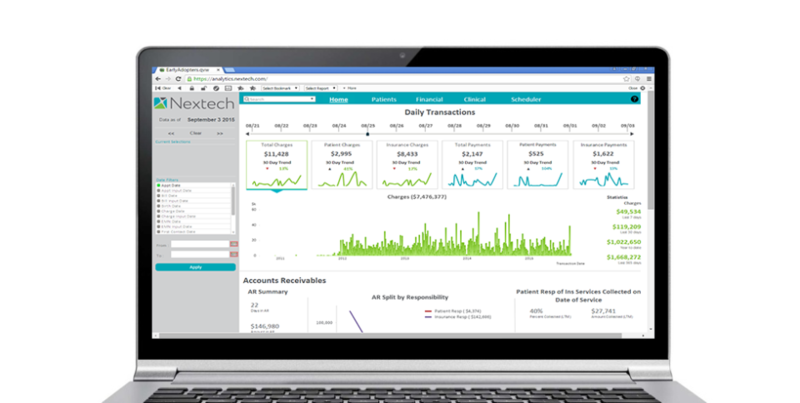 Nextech is a very robust combined PM/EMR solution. Our practice has 4 locations and we do a variety of services, and Nextech is able to handle 95% of what we need. The practitioners like iPad app for charting. Comments: The Nextech team is continually working on improvements and upgrades, and the community portal allows all of us to request new enhancements and also to vote on enhancements for the next release. Pros: We have a complicated scheduling process, and Nextech's scheduling tool is able to handle it with booking rules and schedule template. Cons: Nextech does not support automatic monthly payments. This requires us to have staff manually process membership payments every day. The support for Nextech is good in that you always get a person, but sometimes you many wait in a queue for up to 45 minutes. Expensive fees to keep software service and updates yearly. Pros: Scheduling is easy, drop down menus can be personalized. Maintaining providers schedules is simple. Cons: One glitch that is frustrating is name changes. Once a patient is in the system, you can't change their name or the system deletes their file data. Photos, op reports, everything. It's a frustrating process b/c to make any new documentation legally correct, you have to go in by hand an change every where it's written, which on surgical consents can be almost 20 times. Then anything automated that goes out still has their wrong name. For divorced patients this is a frustrating reminder. Most importantly though is the yearly fee. Once you purchase this software, you then have to continue purchasing it every year or it doesn't work properly (no updates) and you have no support from Nextech if something goes wrong. I wasn't here when it was purchased, but our physician emphatically denies every knowing this was going to be the case when he made the initial buy in. We pay thousands a year for this system, but switching seems very daunting and they know that. You're basically trapped when you buy in...if you don't pay, which we haven't for almost a year, then decide to break down and do it, it only back pays. Say you miss a year, you will have to pay for the year of service you DIDN'T get and then another year to get up to date. It's a huge rip off. Overall: Basic scheduling needs and some reporting. Cons: Would like to have had more one on one training for certain modules. I feel we would have been able to work thru problems faster had we had more training time. It takes some time to figure out how you want to incorporate each module and make it work for your practice. Overall: I am in charge of the Laboratory, both Pathology and Clinical Labs, and I have found the lab module very helpful in keep up with each patients results and being about to see when results are dropped to the charts. Pros: There are too many to list but my top three reasons are: 1. I like how it is specific to our specialty of plastic and reconstructive surgery and that there is more way than one to get the same task accomplished. 2. Their customer service, from technical questions to administrative questions. Anytime I have reached out to our Account Rep., she has responded within 15 minutes. 3. Last but not least "Edge". Can't wait to sign up for next year's, just trying to find time to register. If you didn't go to their first conference last year, you should make a point to go or have someone from your office attend. Very informative, interactive and entertaining as well. Cons: There is nothing at this time that I do not like about this product. Recommendations to other buyers: It helps to have a staff that is up to date with technology or at least willing to learn in order to utilized the software properly and benefit from everything that it offers. Cons: -when there is an update they take away features. We were told no features would be taken away but every update features we use are taken away. One feature we used on a regularly was taken away and we had to pay for it to be put back. That does not make sense. We pay a lot of money every year to have the software. Nextech offers just about everything you could need for your specialty. Comments: I love learning new aspects of Nextech. There is always something new to learn that helps with your day to day work. 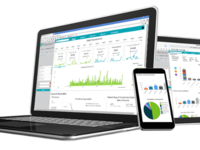 Pros: The customization and the ease of use. .
Cons: The reports are sometimes a little complicated to figure out how to run. It would be nice if their was an option to distribute payments to all line items with one click, rather than dragging to individual line items. 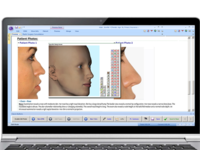 Pros: As a specialist in dermatology I needed a software that understood my needs and that of my patients, using Nextech I had the possibility to customize my work, Simplify patient records, Keep an eye on the practice management data and make strategic decisions with the analytics I could even enhance the patient experience, because of all of this i love this software. Cons: I wish it would also give me the possibility to share my analytical data with my colleagues so that based on this data I could do research work, it would be ideal for the software to help me with that. Comments: Overall I think Nextech is great. I don't expect all tech companies to be perfect, but coming from Cerner at a hospital, Nextech is 100% better. Pros: It's customizable which can help speed up the charting process tremendously. Cons: Customer support has been hit or miss. I either get someone on the phone who either knows what I need or knows who to go to for my needs OR I get someone who has no idea how to help and cannot refer me to anyone either. Pros: We switched from another very large and expensive EMR/PM system. The old software company limited the flow of the practice, and quite frankly just slowed us down. We switched 5 years ago to Nextech and never looked back. The system is very robust and has a lot more functionality for our cosmetic, Mohs and dermatology practice. Cons: I feel as though they're experiencing growing pains. Waiting on hold for one of there support team members is not fun at times. However, today I called and someone answered my call right away! :)Still better then our old EMR/PM system, where we had to call and log a support ticket and wait hours/days for someone to get back to us. Recommendations to other buyers: Make sure there are not too many steps involved for just checking in a patient. If you sell product, make sure they have an inventory module. 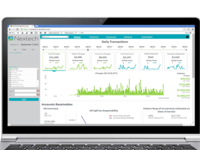 I love that Nextech does and it's integrated into the PM software. Easiest medical practice management software to use! Comments: Nextech is the easiest software to train someone to use! Pros: Navigating between modules (financial, admin, emr) is simple. Payments are easy to batch and process. Billing follow function makes tracking claims/collections easy. Cons: Reports could be easier to manipulate. Nextech partners with Trizetto clearinghouse so some functionality (ex: batching eligibility inquiries) is limited if you use a different clearinghouse. Pros: Great software for billing insurance and cosmetic claims. The software can typically be tweaked to fit your office needs. Cons: Some of the support staff if very helpful and knowledgeable. Although, some of them need more training. I don't want to feel like I am bothering them when I need help. We pay for support for a reason, to get support. Nickel and dimed for everything with long delays in support. No Thanks. Switching after 10 years of head aches with Nextech. Comments: I regretted buying this after the first year. Stuck with them for ten years due to the huge expenditure up front and then year after year threw more good money after bad. Ten years later I am finally leaving them. Cons: reporting - not clear, crystal reports are limiting, too many reports that show the same information with varying output, confusing, not able to truly tailor and export for manipulation. Comments: i have been using this software for over 14 yrs very happy overall. Cons: customer service wait times it had been worse the last year, otherwise we are very very happy with the software . Comments: Nextech has been a great help to our practice. Pros: This nextech system was very easy to use and teach new employees to use and navigate as long as you are not trying to use as EMR. Cons: Very expensive you are charged for everything! EMR system can be confusing especially if you are not traditional medicine. Comments: I have been using Nextech for almost 4 years now and it has never made a working day go bad like other software out there! I currently work for an Ophthalmologist in New York who came into our company with an AR balance of over 40% of their total billable back then and we suggested the client get into Nextech which they agreed as well. Now the client AR is never more than 2% and I have never seen a happy client like this who was not making anything out of the practice 2 years ago! The system is a transparent system where the client can see everything and decide the right moves for a better practice! This software really does help any practice out there who is not making enough revenue to spike the revenue % by vast margins! Cons: A comment section can be created for the AR Analyst to enter each follow-up notes other than using notes to enter the details! Recommendations to other buyers: If you need a Transparent software with an end to end RCM features needed for a Practice! I always suggest Nextech! Comments: I have been using Nextech for several years and find it to be very easy to learn to use. Our practice is growing at a fast pace, so we have a lot of new hires, and every single one has commented on how user friendly Nextech is! Makes the tedious task of training so much simpler, yay!! Customer support is readily available and extremely knowledgeable, they are able to tailor some of the functions to exactly what I need. Pros: The user friendly layout and design. The "help" button that can connect you to the manual to do key word searches for what you are looking for. The online portal for users with webinars and forums. The ability to customize your preferences, many are user specific. Cons: Some of the reporting could use a bit of help, not easy to drill down to the exact report you want. So many pop up alerts to click out of when trying to get into a chart. Recommendations to other buyers: Nextech has great functionality. The customer service is easy to get a hold of, and really works with you to customize processes to exactly what you need. Cons: Admin tab [on top] layout may at times be confusing and takes some time to find or edit certain information. Pros: Functionalities and support are great, even if there is an issue they are quick to resolve. Cons: Integration with other platforms could be streamlined a little bit more and make the end user's life easier. Practice Management System needed for Every Practice! Comments: Nextech is a software solution that i would recommend to every Physician who has the vision to grow and make their practice a high revenue generating source! Nextech helps Physicians in Small, Medium and Large scale with no issue and very specially helps Smaller and Medium Practices to become larger organizations in the industry within a short period. I have working for a client using Nextech for the past 3 years and the changes i have experienced day by day on how the practice started to grow and make right decisions by the help of reports which is the key function of this system that i love! 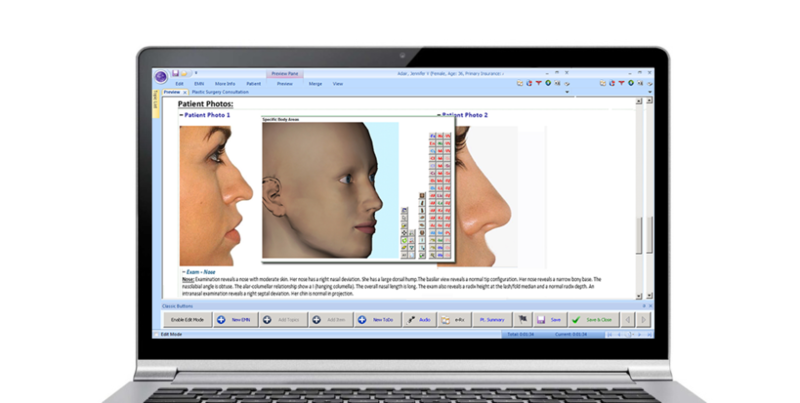 Nextech is the best software i would recommend for any practice to Grow in the industry and to keep their patients happy! Pros: User friendly report generating system and high system security! Recommendations to other buyers: I have experience in Nextech and have seen the positive changes it creates to any Practice. Therefore, if you need your practice to be great! Always choose Nextech without a doubt. Cons: The small font in the program. The fianancial reports module is a bit difficult to navigate but they are always there to hlep. Pros: I like the functionality of this software. I really like how the screens are laid out, very user friendly. The vendor is open to suggestions from the people that actually use it. Recommendations to other buyers: Nextech is very user friendly! There are many resources available so you can use the software to its full potential. If you can navigate the internet, you can easily use Nextech! NexTech - Best decision we ever made. Pros: By far, this was the easiest conversion and installation of a practice management system and EMR. The staff at NexTech did a fantastic job at writing our conversion program and we had very few problems going live. Support is awesome. There's no more having to call a company and wait for them to call you back. Most days, we can get through and get a question answered right away. Training the staff was very uncomplicated, and most new employees who come to us from another practice always comment on how easy our program is. Cons: If I had one complaint, it would be on some of the reporting features. When I have a more complicated report that I need to run, I know that NexTech is capable of doing it; I just need to get help to create the report. Recommendations to other buyers: The key in switching to any new software is having a good team around you. Having the right staff in place and having input from your physicians is key in a successful conversion. NexTech was very approachable, easy to talk to and willing to do the "and then some" to make it work for us. Cons: There are some parts of both the Practice Management and EMR systems that do not work very well for large practices. The reporting feature is good but is not easily used to analyze data. Also, NexTech has preferred vendors for some things, and the communication between NexTech and the vendors could be improved. Recommendations to other buyers: Price is always the first thing people look at, but I advise everyone to truly consider what makes the job easier and to consider a system that is not only easy to use but increases efficiency with ease. NexTech has done all of that for us better than other systems could have done. Cons: We have discovered a Faxing glitch in the software which has cost to our practice. After 6 months still no resolution to the issue. NexTech did offer credits but the issue is still unresolved so we receive additional charges that we should not incur. Pros: The software itself is incredibly intuitive and user-friendly in nearly all aspects, which is especially unique given the range of modules available within. Furthermore, for practices with a cosmetic aspect, the quoting module and its integration with the system as a whole is completely unrivaled. The ability to customize in many ways is also a very unique and positive attribute. Cons: Despite excellent customer service, issues that require tweaks or changes to the software are often difficult to access, although I'm not sure that there are many or any large software companies out there that are able to adjust the software per user requests with ease. That said, given that the reporting module is built upon Crystal Reports, the limited default fields in the reports makes custom reporting quite difficult at times. Recommendations to other buyers: Take a look at the competition. I think you will find that they are often lacking in the quality of interface as well as the breadth/depth of offerings. Pros: I love the communication feature that allows us to send messages to anyone in the company regarding patients. Cons: Sometimes it's not compatible with IE after update. Pros: A lot of different reports available, especially for marketing purpose. But I wish the data export would be easier. Cons: The SMS Reminder module doesn't work. The support team doesn't answer our emails. It's impossible to know who is in charge of a problem. Our requestsare beeing forwarded from one service to another. No one takes responsiblity. We have open issues since over a year and there is no solution in sight. In the meantime, we loose a lot of Doctors'time because of no shows. We started with the basic settings and planed to buy several other modules. But we are considering other options now. My advice : hands off. Comments: Everyone has been good and timely with call backs. Pros: Now that I know it better I find it easy to use. Cons: The time it takes for updates and such. Wish we could do cloud. Pros: I like the variety of reports you can generate to properly track the demographic, revenue history, and type of patient. Cons: While there is a large variety of reports, it is not always user-friendly and straight forward when it comes to generating the report with the information you desire. It does take a bit of trial and error. Recommendations to other buyers: My recommendation would be to confirm that the software you are considering is the proper fit for your type of practice and workflow. Cons: Though we only use certain aspects of the software rarely, we either must pay the FULL support fee or agree to shut down that support of that component. If we shut down support of that component and then decide to use again in the future, we will need to REPURCHASE that compnent ---- even though we already paid the full purchased price for that component alone (EMR). If you make 10,000 emr entries annually or 100, you pay the same fee for support. This is not attractive to lower volume practices. Can't run a practice without it! Pros: The software is very user-friendly. Non-tech employees feel confident when they use the program. Training and one-on-one support is the best. I can't imagine running a practice without it. The controls are excellent; we know where our inventory sits at all times. Reporting and tracking of our patients has allowed us to streamline staff and spend our time on patient care, not in front of a computer. I love the EMR component and wish we did it sooner. There is no doubt that, given all the options available, it has helped to make our practice as successful as we are. Cons: Cost. This is the only issue I have with this software vendor. Over the years, costs have increased. However, it is a premium product, and you do get what you pay for, which is to say that it is worth every penny. Recommendations to other buyers: To me, this software is an asset to running your practice. I can't imagine any other software. Options are limitless. Pros: At this moment not a thing. We had an issue with back up that was set up BY NEXTECH and all our information was lost - not getting any timely followup or resolve after having to spend money to restore information lost. When the problem started we got an error message that said "your back up failed" - after calling tech support they said just hit "back up now" (which we did) only to find out the program was not backing up properly. They have tried blaming the practice saying we set up the back up system, but we didn't, Nextech did. Cons: Not intuitive and every little change requires calls to tech support (who are very nice)...HATE the quoting portion of the program. Also something as simple as looking up a patient by a phone number (which is often needed) can't be done while other less expensive products do this and other things needed in an office setting more easily and with less hassle. Recommendations to other buyers: Unless your people are computer programers or you need a very sophisticated program look elsewhere. Great front end product lacks a little on the back end. Pros: All in one program from start to finish, no need for other programs. For a novice person there is not a lot of hard training to be involved. Cons: Support is severely lacking. Long hold times, a lot of the time technician cannot fix it and cloud version not all that cracked up to be. Comments: The transition was easy and we are seeing more patients in a day than we were before. Absolutely love how easy it is to use. Pros: It is very user friendly and really dedicated to retina doctors. Cons: If you have internet issues then you have software issues. Not the software's fault though.